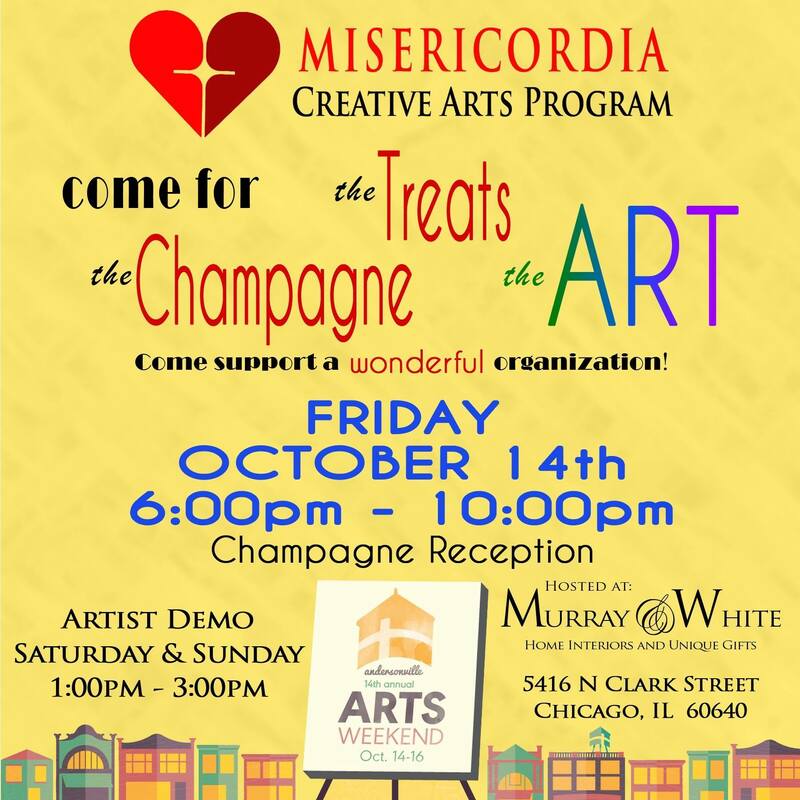 Our neighbors JT & Travis are going to be hosting a champagne reception at their store Murray & White this Friday, October 14th from 6:00pm-10:00pm to help support Misericordia’s Creative Arts Program as part of Andersonville Arts & Design Weekend. Andersonville Arts Weekend celebrates many of the artists and designers who live and work in the neighborhood. You can check out the dozens of artists on display in many of your favorite Andersonville businesses. Friday night kicks off with Night of 100 pARTies, an evening of receptions up and down Clark Street.